Home» Road Tests » SEAT Leon Contract Hire & Leasing Review. Worth a second look. The SEAT Leon is certainly holding its own in the family hatchback market. SEAT have dramatically improved the look, specification and performance of the Leon range. If you’re interested in leasing a stylish, safe, and practical family hatchback our SEAT Leon review may help you decide. In what is now the third generation of Leon, the range is definitely benefitting from VW technology and is challenging the Golf for the first time, with a new identity based on German efficiency and Spanish style. Bussey Vehicle Leasing have recognised these improvements which are reflected in highly competitive rentals. 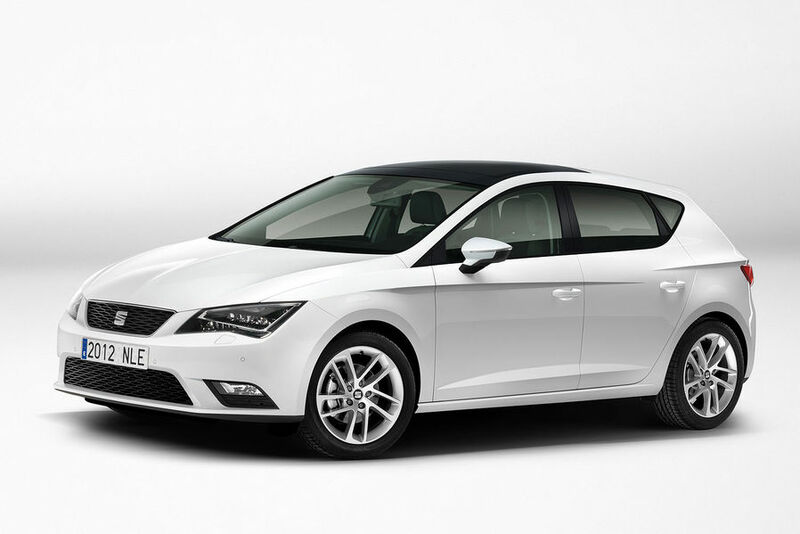 See our latest SEAT Leon Contract Leasing Special Offer. The specification is significantly enhanced by the addition of the technology pack that includes LED headlamps, satellite navigation and digital radio which are available as a free of charge option until 31st December 2013. SEAT Leon reviews around the web concur on the strong performance, styling and drivability of the new Leon range, while the interior and equipment also score highly. In our SEAT Leon review we noted the plethora of standard safety features that has helped to earn this family hatchback the maximum 5 stars in Euro NCAP crash tests, a valuable plus point for our family lease hire customers. All this combined with our competitive lease hire pricing, free of charge metallic paint and technology pack mean the SEAT Leon is definitely worth a second look. The 3-door sports coupe version of the popular Leon hatch. Learn more about SEAT Leon SC contract leasing. The 5-door estate version of the SEAT Leon hatchback. Read more about SEAT Leon ST contract leasing.